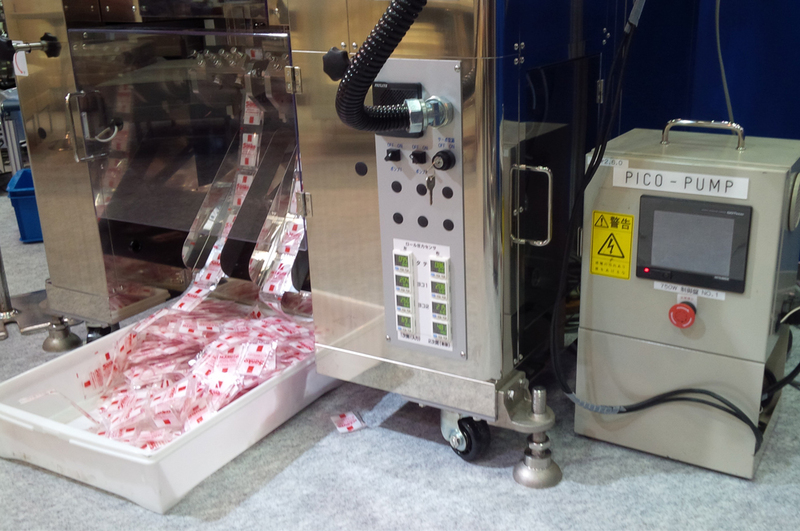 FR-3 packaging machine for liquid and paste | T.H.E.M. 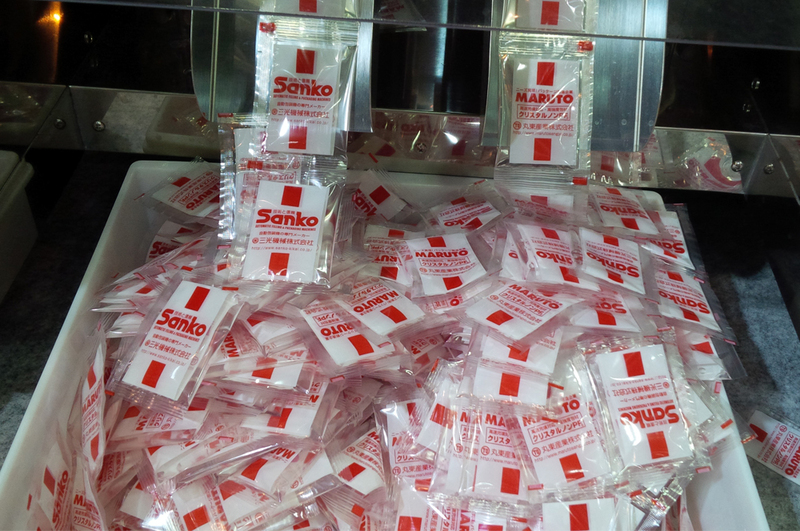 The FR-3 is a high quality, high speed packaging machine for liquid and paste. 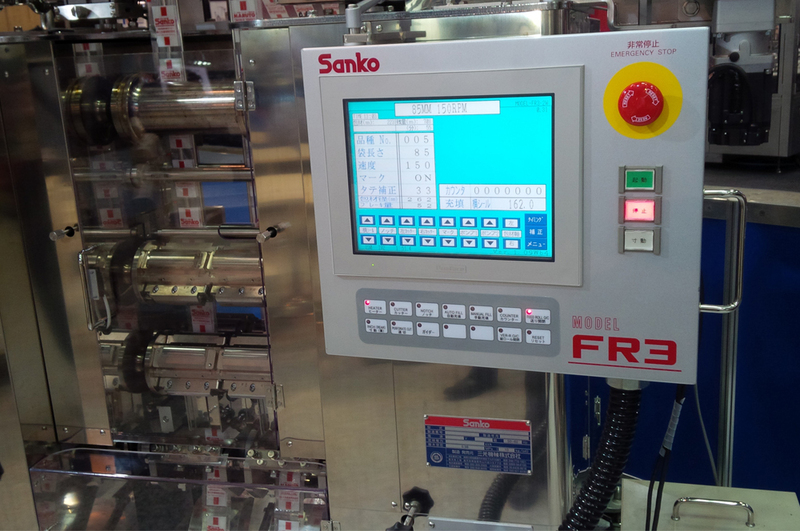 Unlike conventional machines where the sealing pressure is determined on the basis of an operator’s skill and experience, the FR-3 stores numerical packaging data for each product to be packaged, so the machine is adaptable for each different package and can be operated directly by the numerical control system. Change of bag length and adjustment of the position of the I-notch, perforation, and cutoff can be made by simply tapping the 9.5” LCD touch panel display. Fine adjustments can be made in a similar way, even while the machine is operating. 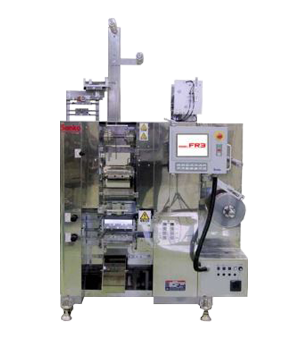 Standard features of the FR-3 include heat-resistant, lubricaiton-free bearings, non-backlash gears, packaging film automatic centering mechanism, and a rotary connector for the attachment of a heater. 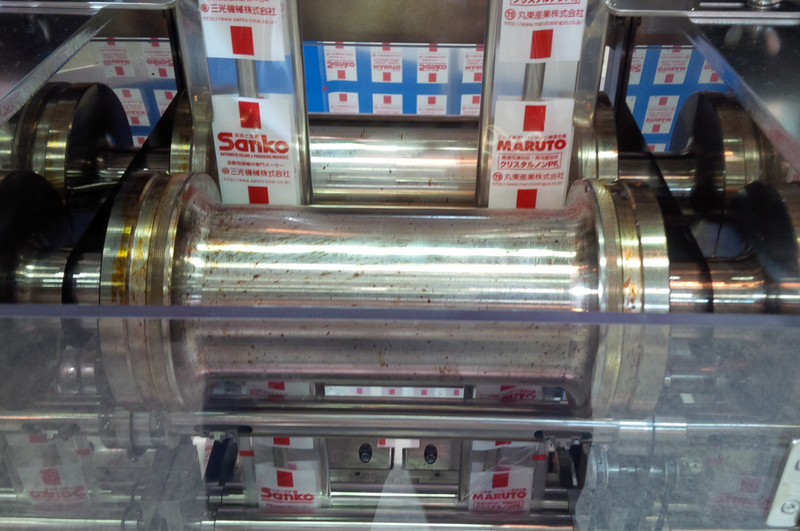 Among the machine’s many available options are an automatic side wobble control system, liquid flow meter, definite quantity divider and definite quantity shutter.